There is such thing as too much gin. I know. I didn’t think so either, but after many cocktail masterclasses, I admit defeat. Stick to a single or double measure and you will have a nicer drink. Ice-ice baby. Get your glass filled up with ice. It’s actually a myth that the less ice you use, the less your drink will dilute. In fact the more ice you use, the colder the whole glass will stay and the slower the ice will melt, diluting your lovely drink. The wider the glass, the better the whole experience. The reason balloon glasses have come in to fashion (we’ll get onto these in a minute) is because they allow the drinker to smell all of the spices and flavours. Although we may feel a bit silly smelling and swilling wine round, it really does make a difference with gin. The main flavour you’ll pick out is the juniper berry and that’s what makes gin, gin. Cucumber is just for salads and tuna sandwiches right? Wrong! Who on Earth would have thought it makes such a difference to a g&t? Garnish to your hearts content. From slices of cucumber, to slithers of ginger, sprigs of rosemary and wedges of lime; they can all be your garnish staples. For those of you who aren’t keen on a sweet drink – crack some black pepper in there for a fiery taste. Start with the balloon glass, you can pick one up from pretty much any good homeware shop – try these ones from Sainsburys at 2 for £10. A jigger. Cool name, cool little bit of kit. One way up gives you your single measure or flip it upside down for a double. If you don’t have a jigger, then go by 25ml for a single or 50ml for a double. A knife and board to cut up your garnish, simple as that. Finally add a small sprig of rosemary into the ice – really this just makes it look fancy! Congratulations – thanks to Safeclean you now know how to make the perfect gin cocktail and can impress your friends the comfort of your own home! And remember, should you have one too many and spill it on your sofa or your lovely cream carpet, we’re here. 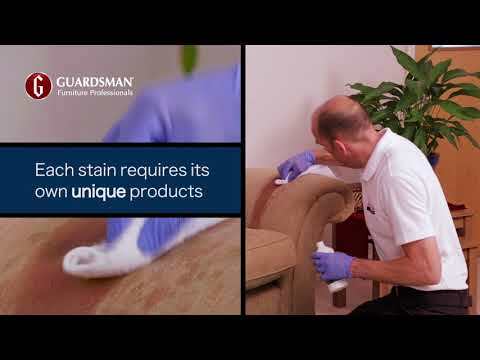 Whether you want to prepare your house ready for the party, or you need help cleaning up once it’s all over, your local carpet and upholstery cleaning expert is just a click away, find yours here.